UFO SIGHTINGS DAILY: UFO Caught Over Colima Volcano A Few Minutes Ago On Live Cam, July 4, 2016, UFO Sighting News. UFO Caught Over Colima Volcano A Few Minutes Ago On Live Cam, July 4, 2016, UFO Sighting News. 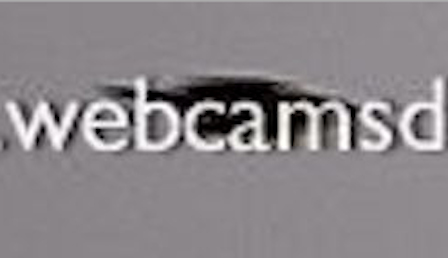 I know this is weird, but this is a UFO behind the words on the cam. 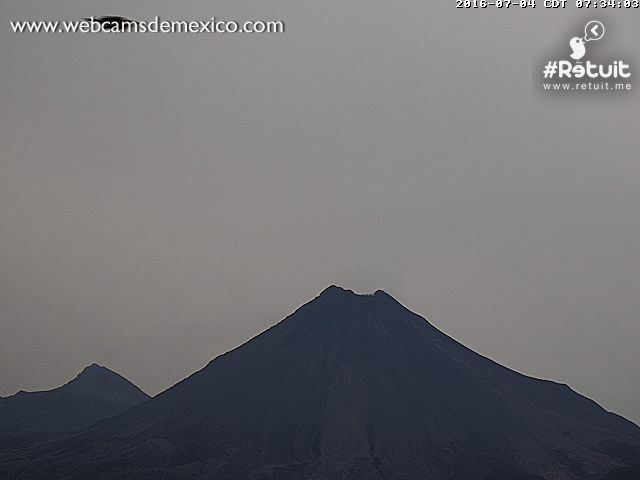 The cam photo changes every 2 minutes and this was one of the still shots of the Colima volcano in Mexico. Being caught behind the cam identification code is very unexpected, but then catching a UFO anywhere is always unexpected. This UFO has a classic disk shape, much like the UFO that Bob Lazar worked on at Area S4 and the same as the UFO I caught on Google Map at Cape of Good hope (Google deleted it). Its well known among UFO researchers that alien bases exist below both Colima Volcano and Popocatepeti volcano in Mexico. The base is 4-5km deep and was strategically placed below the volcano because of its difficulty for humans to scale the mountain and impossible to enter the mouth. This UFO is more sleek than that of the Friendship Case at Rocca Pia, Italy, but I sure would like a ride in one of these.